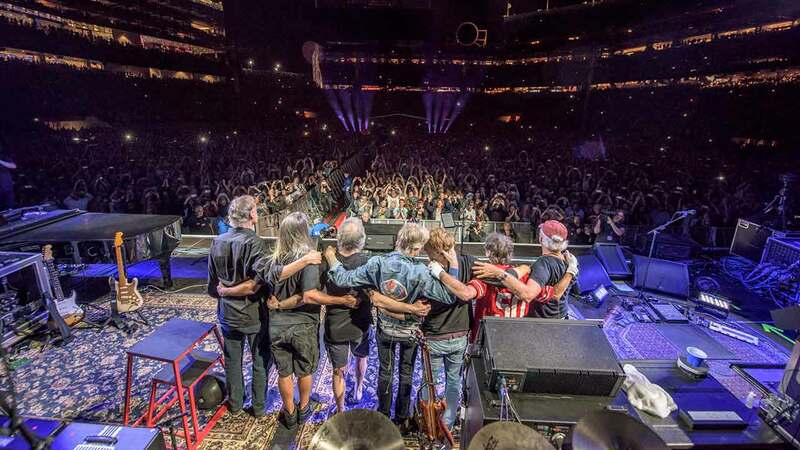 CHICAGO (WLS) -- The Grateful Dead will play their last shows together as part of the "Fare Three Well" shows at Soldier Field this weekend. Organizers say ticketed fans will be able to enter the grounds via three entry points on McFetridge Drive (North), Waldron Drive (South) and the bike path (east). Fans are reminded that tailgating before the show is permitted only within the parking areas and that parking lots will close one hour after the show. Parking shuttles will also operate from Millennium and Grant Park garages from 2 p.m.-2 a.m. Bike parking will also be available to the east of the Waldron Parking garage. The group kicked off its farewell tour with two shows in northern California last weekend. For more information, visit www.Soldierfield.net or www.Dead50.net.